It is no accident that Chanukah and Christmas, both festivals of light, fall in the darkest season of the year. In the spirit of both holidays, Rabbi David Segal of the Aspen Jewish Congregation explores what it means to be a source of light in dark moments. A group of locals and visitors attended a cooking class at Meat and Cheese Tuesday evening. The restaurant offers one each month, and this time was, of course, Thanksgiving themed. The inhabitants of Aspen will get a break from the sounds of back-up beeps and jackhammers a week early during this high season. Beginning today, no construction is allowed in the Aspen Core as the city prepares for its most lucrative weeks of the year. The city’s ban of outside construction usually begins on Christmas and goes through New Year’s. But the rules were changed this year. On Christmas Day aromas of cookies, turkey and other holiday foods will spill from kitchens up and down the Roaring Fork Valley. Baking and cooking in our region can be tricky because of its high elevation. Some food fanatics find it difficult to get their fare just right. Colorado State University’s extension office held a class in Basalt this month on how to prepare food in the high country. 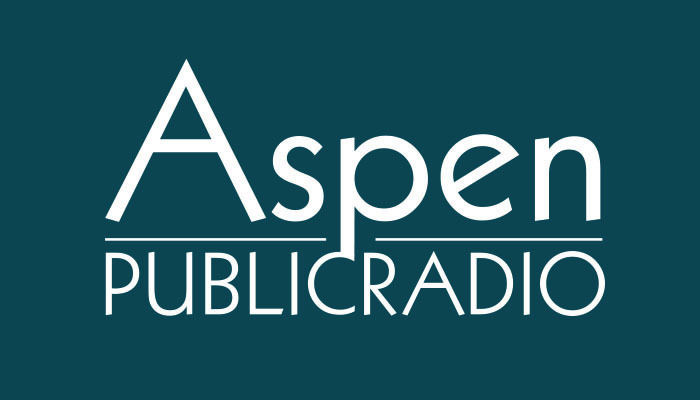 Aspen Public Radio’s Marci Krivonen was there and filed this report. Aspen Mentorship and Networking Program with Skippy Mesirow, Kimbo Brown-Scirato and Mike Jahn. Also Kent Reed and Tom Egan on this Sunday's Holiday Stories at the Aspen Community Church produced by the Hudson Reed Ensemble. Cooking a Thanksgiving meal is a big job under normal family circumstances… imagine cooking up the big meal for a crowd. One local woman is whipping up a spread for the many bus drivers and other employees of the Roaring Fork Transportation Authority who are on the clock today. APR’s Elise Thatcher has the details. Reporter: As of this Thanksgiving morning, Susan DeCillis has been up all night. She’s had a lot to prepare… because she’s putting on supper for a hundred and fifty.